DPA's d:facto Vocal Microphone will now be the official microphone at all Swissbeatbox events including the annual Grand Beatbox Battle, which takes place in Warsaw, Poland between April 12-15. First launched in 2009, The Grand Beatbox Battle attracts beatboxers from all over the world and is the most prestigious event for the growing global beatbox community. 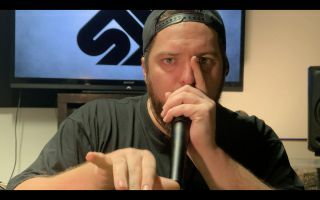 DPA d:facto’s ability to handle the high SPLs that come with close mouth placement and its ability to accurately pick up and reproduce transients are some of the key reasons why beatboxers have started to adopt it as their microphone of choice. The microphone’s durability is also important because beatboxing is very physical and the grille covering the microphone capsule needs to be tough to withstand the harsh treatment. The fact that the d:facto grille can be easily cleaned was another plus point, as was its round shape and flat top, which lends itself to being cupped by a beatboxer. DPA Microphones will be at the Grand Beatbox Battle in Warsaw—both onstage, where everyone performing will get a chance to try out d:facto, and offstage where DPA’s team will be available to answer questions, arrange demos, and showcase the microphone to visiting beatboxers.